figuring out the business units with the highest growth/turnover so that recruiting strategies can be implemented to find talent for those areas, and more. 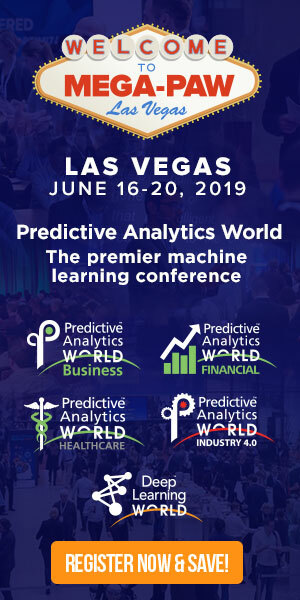 I went to Predictive Analytics World for Workforce this year in San Francisco to spend time with thought leaders in workforce analytics and business leaders looking to leverage predictive analytics in their HR functions. Below are the top 5 things I learned about predictive workforce analytics from the conference. Start with a small project. Many of the conference speakers and attendees mentioned that tackling small predictive analytics projects is a good first start. If the first project is tightly planned and yields actionable results that help the business, this project can become the basis of a business case for more funding and resources for future projects. Ultimately, this can help HR organizations grow an analytics function. You don’t have to be a data scientist to do predictive analytics. I have heard HR professionals express that they feel that they cannot do predictive analytics because they do not have a background in statistics or analytics. However, this conference helped to debunk this myth. HR professionals who are well versed in predictive workforce analytics typically do not have a technical background. Instead, they understand HR and the business so they work with data scientists to conduct the analyses. Predictive analytics does not replace business acumen. To be effective in predictive workforce analytics, one must have business acumen. Understanding the business, asking the right questions, and having domain knowledge are necessary to ensure the right analyses are conducted. Effective communication is extremely important. It is not enough to have good business acumen and technical skills. One must also possess effective communication skills to convey the findings of the analyses and make recommendations to the business. Though HR does not need technical analytics expertise, it must understand the results well enough to communicate the information to the business. HR may also need to sell the results to the business and effective communication skills helps in this endeavor. Predictive analytics is about continuous improvement. Although predictive analytics yields mathematical models that help the business make better decisions, these models do not exist in a vacuum. As additional data is collected, the model must “learn” and change so that the algorithm is continuously effective. As such, predictive analytics should be considered as a journey of continuous improvement rather than a steady state. Sue Lam is a human capital management (HCM) research specialist at APQC. In this role, she uses APQC’s benchmarks, metrics, and predictive analytics to uncover insights from data and leverages qualitative case study research to identify real-world practices and solutions that back up the data. Her work spans the full spectrum of HCM from recruiting, sourcing, and selecting to training and development, retention, and engagement. Lam holds Bachelor of Arts degrees in psychology and history from University of California, Los Angeles, as well as a Ph.D. in social and personality psychology and quantitative methods and a Masters in social ecology from University of California, Irvine. She is certified as a Professional in Human Resources (PHR) from the HR Certification Institute and is a Society for Human Resource Management Certified Professional (SHRM-CP). In her spare time, Sue does East Coast swing dance and is SCUBA certified.